Knock, knock, knockin' on Eden's Gate. Dim the lights, blast the dubstep, and throw on some Aisha Tyler interviews in the background—Ubisoft just kicked off its E3 press conference three weeks before the event with the first-ever trailer for Far Cry 5. As revealed in teasers earlier this week, the game takes place in Hope County, Montana—yes, within the United States, which is a surprisingly rare move. And in shades of Outlast 2, the region’s been overrun by the religious cult Eden’s Gate, which will be your primary enemy in the game. “Religious cult” is the general wording Ubisoft uses, though all the imagery and the church architecture shown is not-so-ambiguously Christian in influence. Aside from the surprising setting, though, I expect standard Far Cry shenanigans, or at least, what’s become standard since Far Cry 3: a big open world, a few lackey-controlled regions to take over, and according to Ubisoft, “the largest customizable weapon and vehicle roster ever in a Far Cry game.” Much of that is speculation, though, as the trailer focuses on the setting and characters more than the game itself. There is however a throwaway shot of hunting, so expect to make bullet pouches out of six deer skins again. We’ll see more in a few weeks. 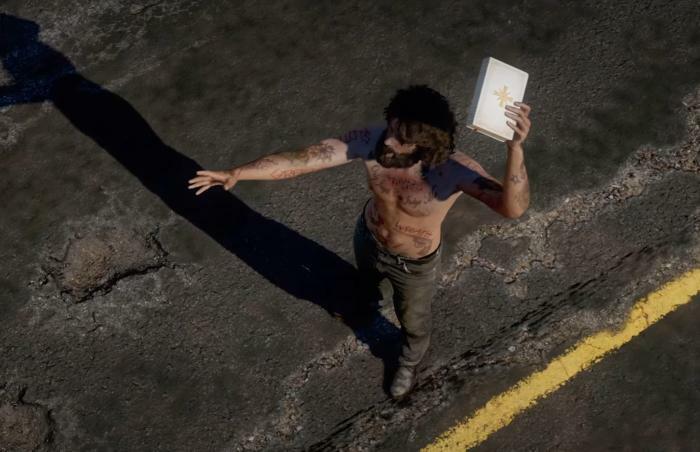 Far Cry 5 should appear at both Ubisoft’s press conference and either Microsoft or Sony’s with a meaty 20-minute demo each time. By June 12, we should have a pretty damn good idea of what the game is and what to expect, and then we settle in for the long wait—the game is set to release February 27, 2018. Stay tuned.